As long as a judge approves, Sony will be dishing out millions of dollars worth of free games and PSN content to customers affected by the 2011 PSN outage. So you remember that time in 2011 when some kooky kids broke into the PlayStation Network, stole a whole bunch of user data and then took the whole thing down for a month? We feel safe in assuming that Sony would probably prefer that people forget that ever happened. That in mind, it doesn't surprise us that the company just agreed to a $15 million settlement aimed at bringing that dark chapter of the PlayStation brand's life to a close. 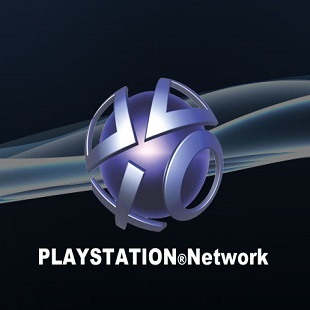 The deal, which was revealed in released court documents would see Sony paying for a variety of reparations to PSN users including free PS3 and PSP games, free PS3 themes, free subscriptions to PlayStation plus, free access to Music Unlimited and SOE Station cash. Individual gamers will be offered different benefits from settlement based primarily on whether or not they took advantage of Sony's Welcome Back program after the PSN was brought back online. Claimants who participated in the program, which offered free games as an apology for the breach will be eligible to receive a one additional free game, theme or a PS Plus benefit. These will be distributed on a first-come, first-serve basis and will be capped at $4 million. Those who didn't enter into the Welcome Back program meanwhile, will be able to claim two of the aforementioned options or two PSN benefits. These individuals will also be served based on who gets in line first and will have their rewards capped at $6 million total. Qriocity subscribers will also receive a free month of Music Unlimited while SOE users will be given $4.50 worth of station cash which will be credited to their accounts. It's important to note, of course, that while Sony has agreed to this deal has yet to be approved by a judge. The hearing to determine whether or not this deal is fair, in turn, has been scheduled for May 1st, 2015. In other words, way past the point when people are really going to be interested in free PS3 and PSP games.